If you are having new floors professionally installed there is usually no need to be home while the work is completed; however, carefully consider the following factors before deciding where you will be when your new floors are being put in. Your flooring installers will need to get into your place somehow and if you are there to let them in and show them around it will certainly make life easy. If you simply cannot be there, ask a friend or family member to fill in for you or leave a key somewhere and let your flooring company know where to find it. Be sure to leave clear and detailed instructions regarding any vital information as well, such as the location of climate controls, lights, power and any necessary alarm codes. If there will be young children or pets home during the installation process it is important that someone is there to take care of them. If you can’t be there, you will need to make arrangements for child or pet sitting services, because as cute as pets or children may be, their curiosity can prevent the job from being completed smoothly and on schedule. Most floor installation takes place without any hiccups; however, if there is a problem of any sort it is important that your installers can contact you. While there is no need to wait around the house the entire time, it is important that there is a way to reach you in the unlikely scenario that an issue arises. While some types of flooring are quick and easy to install and can be walked on almost immediately, others require carefully controlled conditions and a time consuming process. Depending on the type of floors you are having installed you may have no choice but to stay out of the house during installation and even for several days afterwards. 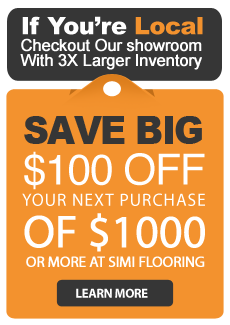 Ask your flooring company for advice well ahead of time so you know what to expect. You are sure to be thrilled with the end result of your professional floor installation, but regardless of whether you plan on being home or not, be sure that you are making it easy for your installers to do their best work for you.